Advantage Royals in battle for place in Trophy Final. 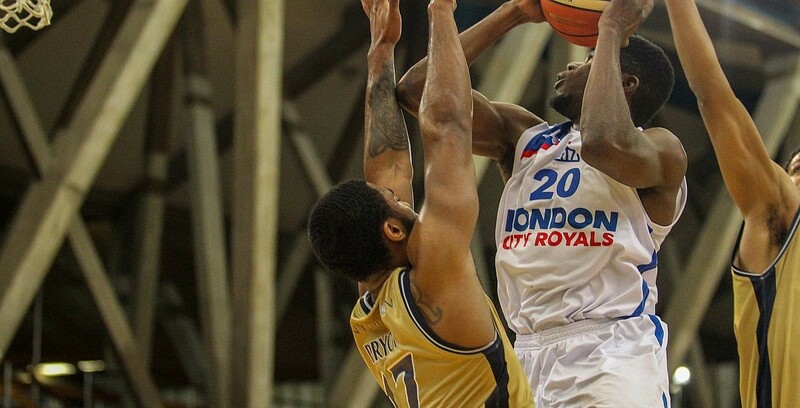 London City Royals will take a 20-point advantage into Sunday’s Second Leg after seeing off Radisson RED Glasgow Rocks for another home win. The Royals have now won seven straight games in all competitions, while the Rocks saw their recent unbeaten run as they return home to the Emirates Arena facing a big deficit. Turning point – The Royals made a 12-4 start before leading by as many as 17 in the opening 10 minutes. The gap peaked at 27 in the the fourth, but the Rocks were able to put together a late run tor reduce their arrears. Key stat – Glasgow were held to 38% shooting overall with just 5 of 19 from 3-point range as they failed to hit 70 points for just the third time this season. Game hero(es) – Bryan-Amaning set the tone early for the Royals at both ends of the floor and finished with 19 points and 10 rebounds along with three steals. Four other players hit double figures for the home side as their depth proved strong once again with 31 points off the bench.